Most US tap water contains fluoride today. However, most bottled water doesn't. As a result, many people have fluoride deficiency, which puts teeth at a greater risk for getting cavities. In some cases, parents think that they are protecting their babies by using bottled water to mix formula, but actually, tap water is better in this case. Many children pack bottled water in school lunches and adults tend to toss bottled water in the car instead of filling up a reusable water bottle with tap water. Fluoride is an interesting mineral because it attracts other minerals and strengthens tooth enamel. We can determine whether your teeth would benefit from a fluoride supplement. 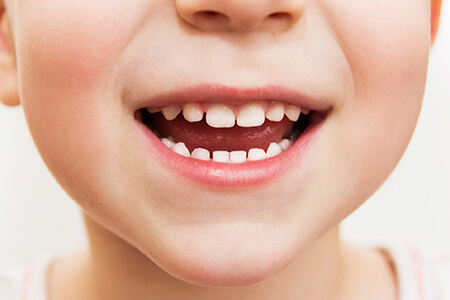 Following a dental cleaning, adults and children alike require a fluoride application to replenish the fluoride layer removed from the teeth while polishing. We have switched to fluoride varnish, a paint that is 72% more effective than other fluoride treatments. It tastes good, and you no longer have to wait 30 minutes to eat or drink afterwards.